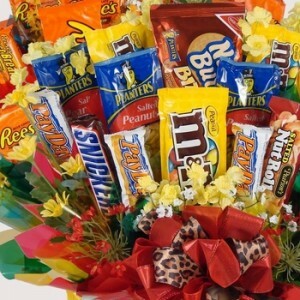 If you think gift baskets are boring, think again. 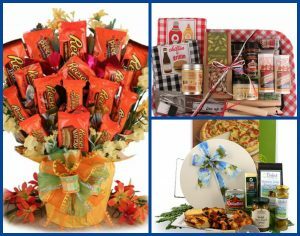 The following is a list of fun and unexpected gift baskets that are sure to please. BBQ baskets. Nothing says “summer fun” like a BBQ gift basket filled with grilling essentials. The Barbeque Grill Master basket is presented on a themed Melamine tray and includes spicy Parmesan corn seasoning, pistachios, Texas rub, grill mates seasonings, beef summer sausage, beer biscuits, wooden handle utensils, and themed dish towels. Thank you baskets. 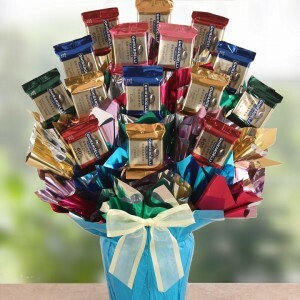 Why say it with flowers when you can say it with a bouquet of adorable cookies? The Thanks a Buzzillion cookie bouquet does just that with hand-decorated sugar cookies in honey vanilla, lemon and vanilla flavors. Bridesmaid baskets. 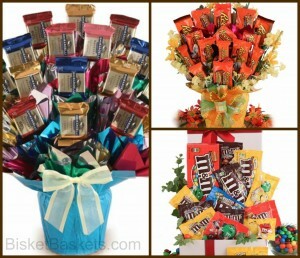 Treat your bridesmaids to something sweet with a variety of candy gift baskets. 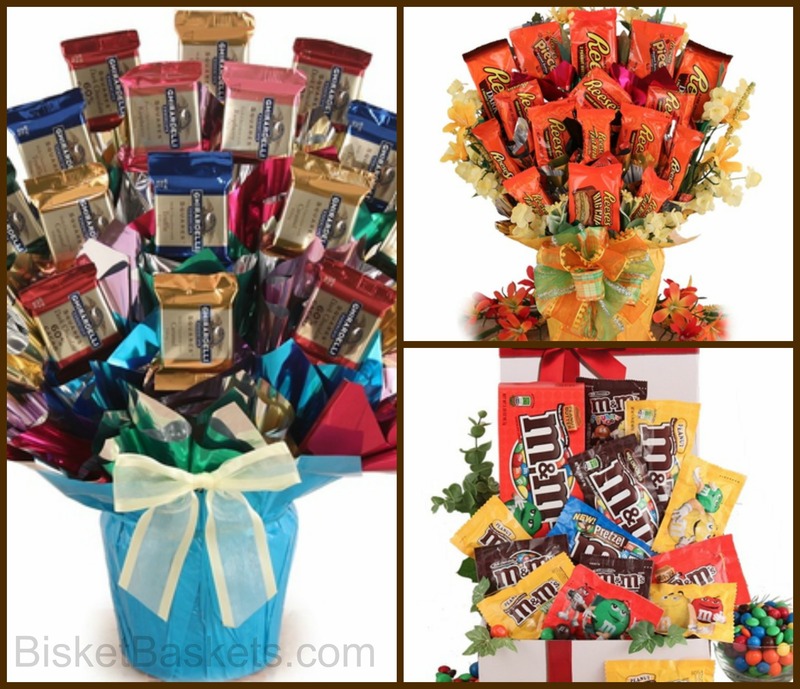 Whether it’s Reese’s, Ghirardelli’s, Skittles, or M&Ms, there’s sure to be a candy bouquet that will satisfy the most demanding sweet tooth. 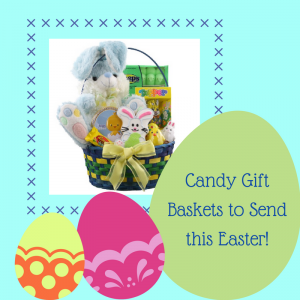 Pet and pet lover baskets. There are dozens of cute and creative baskets to choose from especially designed for dogs, cats and for those who love them. Know a pup who’s feeling under the weather? 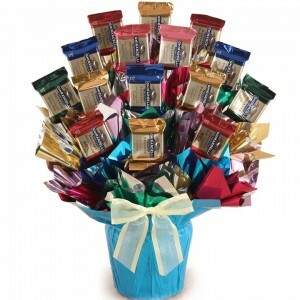 Try the Sick as a Dog gift basket that includes a variety of high-quality, healthy pet treats sure to tickle the tummy. A plush toy is also included and the entire “basket” is presented in an adorable paw print decorative box. 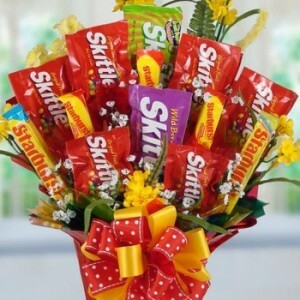 Get well baskets. What if your favorite human isn’t feeling well? There’s a basket for that, too. 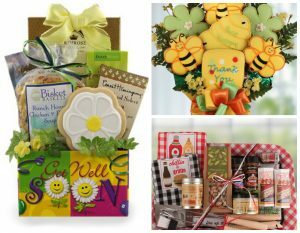 The Get Well Soon gift includes comfort food favorites such as Ranch House chicken and pasta soup, classic lemon drops, Ernest Hemingway Highland Select Tea, butterscotch candies, and hand-iced butter cookies with royal icing in a “Get Well Soon” themed box. No matter what, there’s sure to be a gift basket perfect for the occasion.